Soak the buckwheat in plenty of cold water for 2 hours until softened. 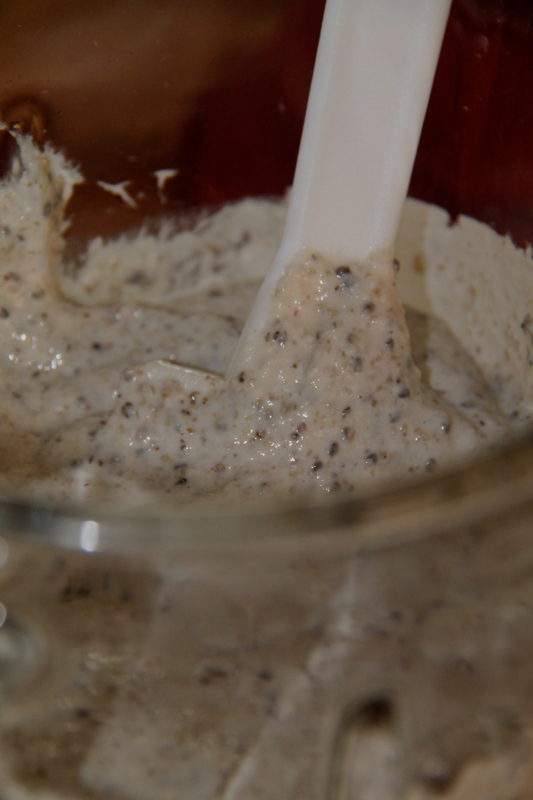 Soak the chia seed in 1/2 cup water for 30 minutes until gel-like. Drain the buckwheat and rinse through a fine sieve until fully drained. 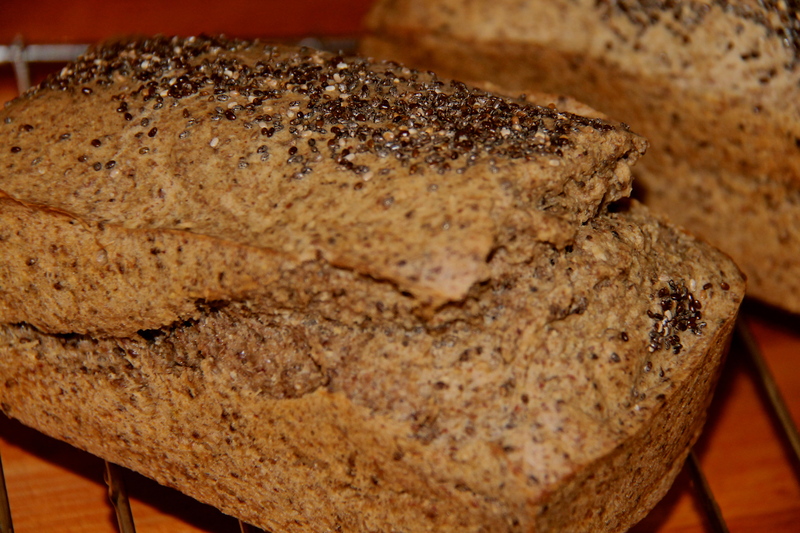 Place the buckwheat into a food processor or blender. Add the chia gel, 1/2 cup water, olive oil, bicarb, sea salt and lemon juice. and mix for 3 minutes. The bread mix should resemble a batter consistency with some buckwheat still left in the mix. Spoon into a loaf tin, lined with baking paper. Bake for 1 hour and 15 minutes until firm to touch and bounces back when pressed.. The bread should be slightly moist in the middle and crisp on the outside. Serve delicate slices only when cooled. Store wrapped in the fridge for up to 1 week and freezes well.